We all want health plants and delicious fruits and vegetables. The way that happens is by feeding them exactly what they need. 3 nutrients they get from the all, 12 they get from the Earth. Hope that manure or compost is enough. The problem that we have with traditional organic gardening is when the plant is producing heavy fruit near the end of their season they need the weekly feed of nutrition. It is completely sustainable. Magic micromix mixed with the all purpose fertilizer and epsom salts provides the nutrition to completely feed the typical family garden for an entire year. Because we don’t know how available fertilizer will be you simply need 5 bags for 5 seasons. Think about how much space it would take for 5 years of cow manure or compost! It is much more sustainable. I pick up an extra bag of fertilizer and Mittleider then you know you have all the nutrients your garden will need. Magic micro nutrient mix, seed banks, epsom salts and fertilizer is all you need for a perfect mix. Don’t mix the levels too low or too high. Use a bathroom scale, the weekly feed bucket, and 25 pounds of mix. Epsom salts, Mittleider Magic Micromix, watch for clumping when you make your mix. Perlite will help absorb the moisture and will prevent clumping when you add it to your garden. Apply 12 ounces of weekly feed fertilizer for each 10’ raised garden bed. 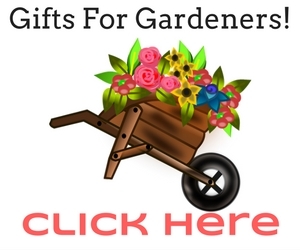 Keep it in your garden shed in a waterproof 5 gallon bucket. Get a tool that can pry the lid off and keep it with your feed buckets in your shed. Keep the moisture out of your fertilizer. If you want to mix larger quantities you can print out the sheet mentioned in the video. Follow the instructions in the micronutrient mix. Diseased plants in the garden are very often just undernourished. You’ll see healthy plants with more nutritious fruit when you feed your soil weekly. Buy using the Mittleider gardening weekly feed fertilizer mixture you can have a sustainable, healthy garden. By using the weekly feed you can store a year’s supply of fertilizer in a 5 gallon bucket. You don’t need to truck in loads of manure, compost or mulch. You’ll save a ton of money and have healthier plants and easier gardening. That’s why you buy five years worth and store in five 5 gallon buckets. and some animals. Follow nature, she knows best. ingredients that come from all over. added if using that method. bountiful as found in a man made garden. actually bad for the environment!